1949 21st Ave S, Birmingham, AL.| MLS# 829241 | Richard Jacks UABLIVING.com 205-910-2297 | Birmingham AL Real Estate | Contact us to request more information about our Homes for Sale in the Birmingham AL area. This adorable "Diaper Row" home has great curb appeal & wonderful living space! It has just been freshly painted, & the roof & HVAC were replaced recently, & it is move-in ready. There are 4 bedrooms, 3 bathrooms, &/or the lower level could be a separate apt suite. Main level features archways, hardwood floors, large living room with a fireplace, dining room with a bay window, kitchen with French doors to the deck, 3 bedrooms & 2 bathrooms. Sunny, spacious and bright! Lower level includes a bedroom, bathroom, laundry room with utility sink, huge den with French doors to the patio, storage room, multiple closets plus built-in shelves & desk area. Exterior features include a front porch, deck off the kitchen, driveway in back with off-street parking, fenced backyard & a little bridge that leads to a private flagstone patio on an extra lot! 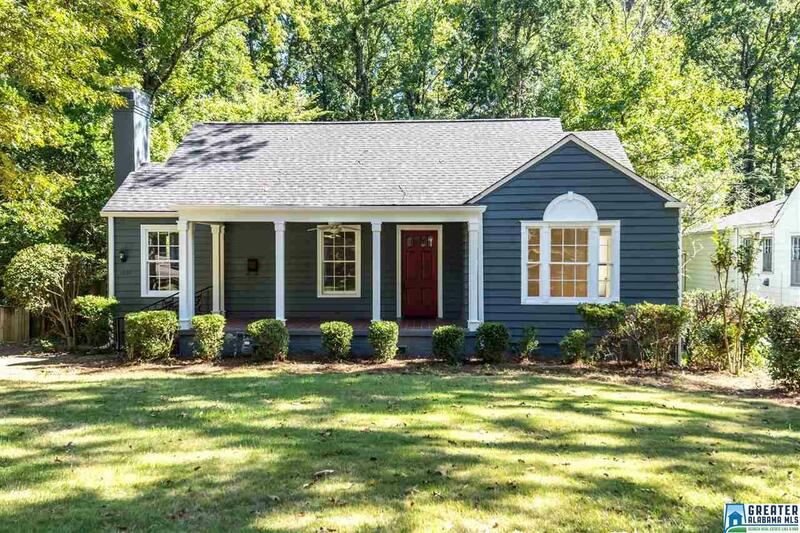 Super-cute and a great location seconds to Homewood and English Village and less than five minutes to downtown and UAB!